News flash! Scientists now agree that the English language sounds 100% more romantic when spoken in French. 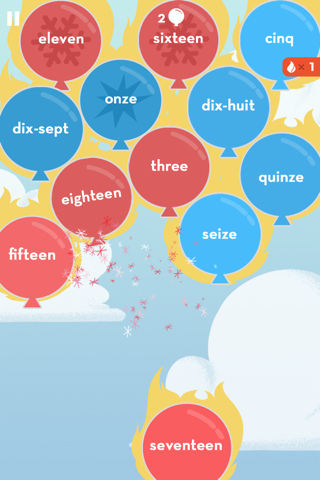 It’s true, and to help you learn, our French app is loaded with nine addictive games designed to build essential vocabulary and conversation skills. Best of all? 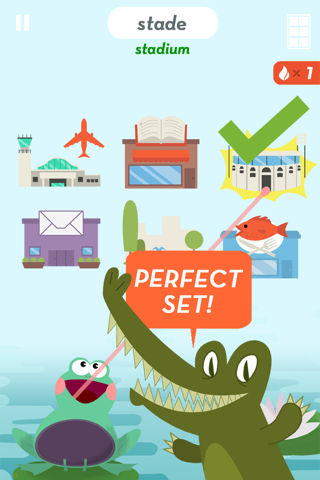 No boring flashcards allowed. 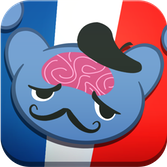 More than just a memorization tool, the app has many lessons covering essential stuff like French vocab and verb conjugation as well as specific nuances like the difference between “c’est” and “il est.” With 1000+ words to master and up to 40 hours of engaging gameplay, shooting the breeze in French will soon be as easy as enjoying the view from atop the Eiffel Tower. 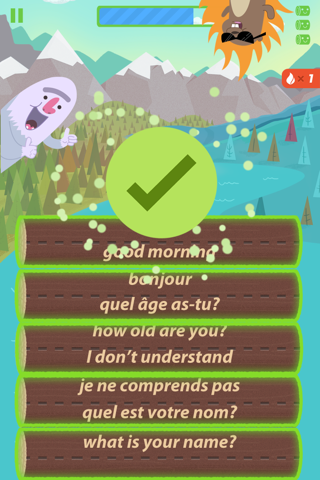 As for that difficult French accent, each word in the app features a matching audio clip provided by a native French speaker to help with pronunciation. To keep you learning at your own pace, our unique algorithm personalizes the experience by selectively repeating content with which you’ve struggled. 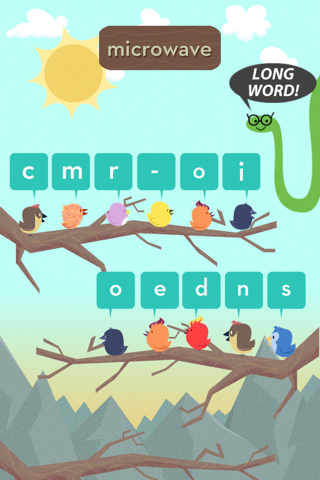 It all adds up to the go-to French app your fun-hungry fingertips have been waiting for.